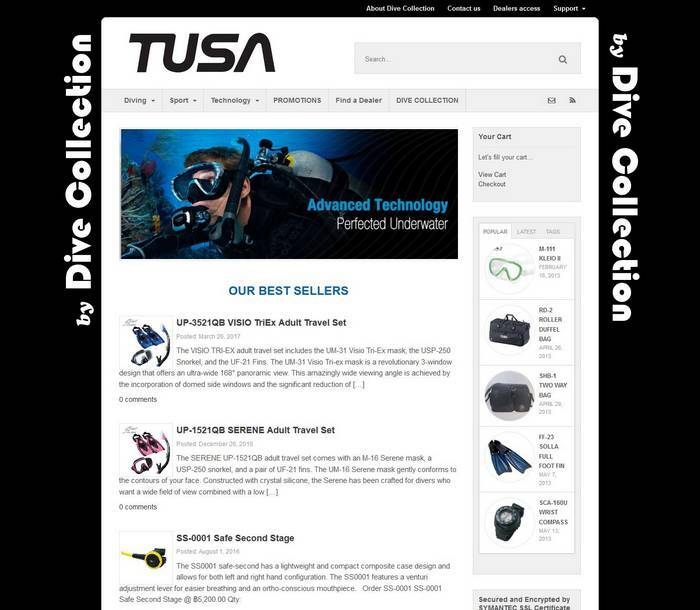 Tusa is one of the biggest Scuba Diving and Swimming equipment manufacturer in the world. We built the website of the Thai distributor located in Karon, Phuket. Direct link to Facebook (publishes automatically on TusaThailand FB page any new item or page). Web Design in accordance to Tusa’s corporate image.